A soldier in a video finally reveals who is helping Syrians, regardless of their religion, race, ethnicity, or politics. I long suspected what I’m about to show you. However, I thought it would remain secret. Allowing the soldier to appear on camera is a demonstration, a trial balloon, and a warning. People like to call themselves soldiers, even when they’re nothing of the kind. Today this happened. 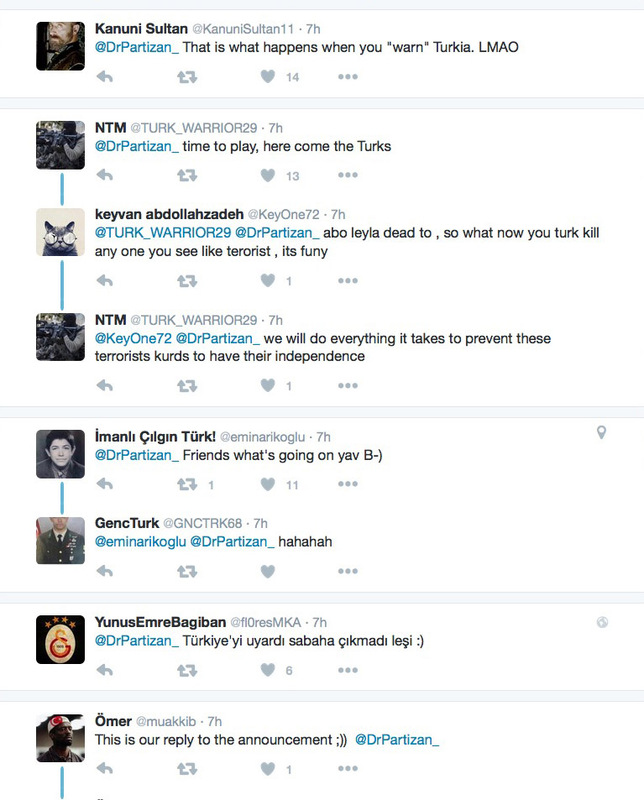 Turks on social media are gloating about this murder. Hatred and arrogance make people blind. 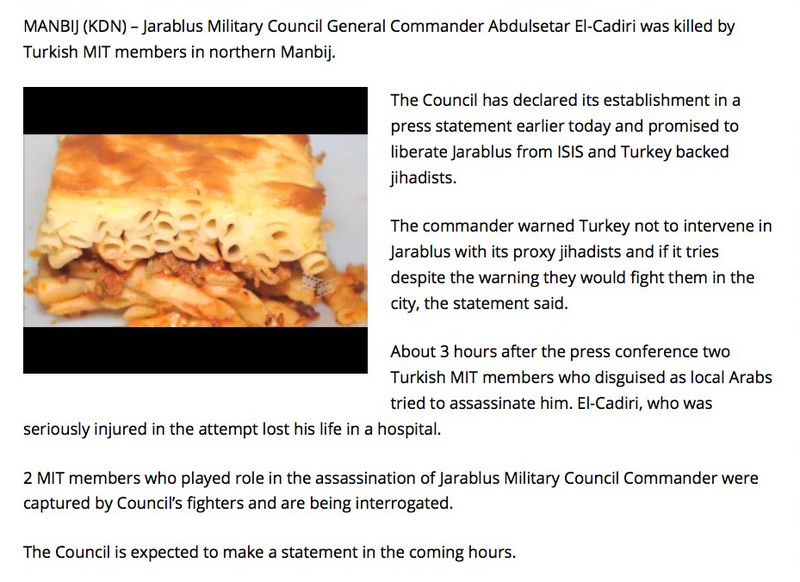 The Jarablus Military Council is Arab, not Kurd. Here is part of what el-Cadiri said. Syrians simply want control over their own destiny. For that they’re murdered? By foreigners? 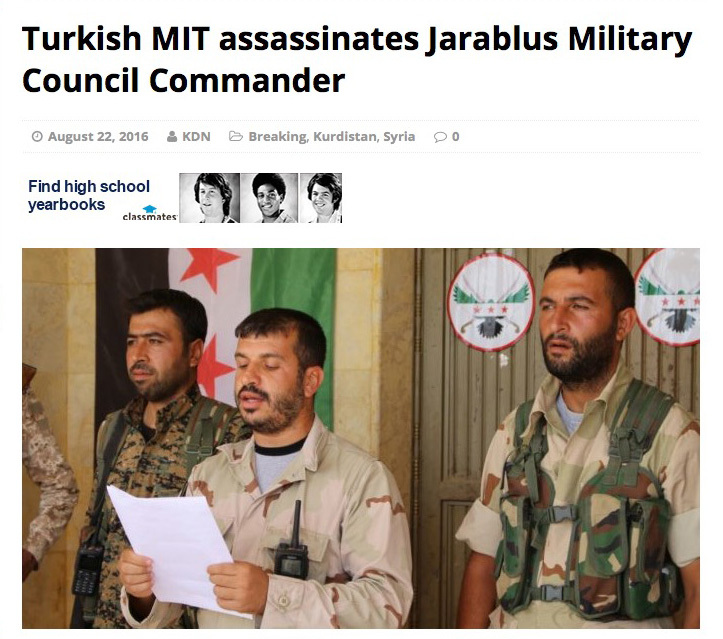 This is the first time that someone has captured Turkish National Intelligence Organization (MIT) assassins. Therefore the consequences for Turkey will be grave. Turkey is no match for the emerging Middle Eastern superpowers. 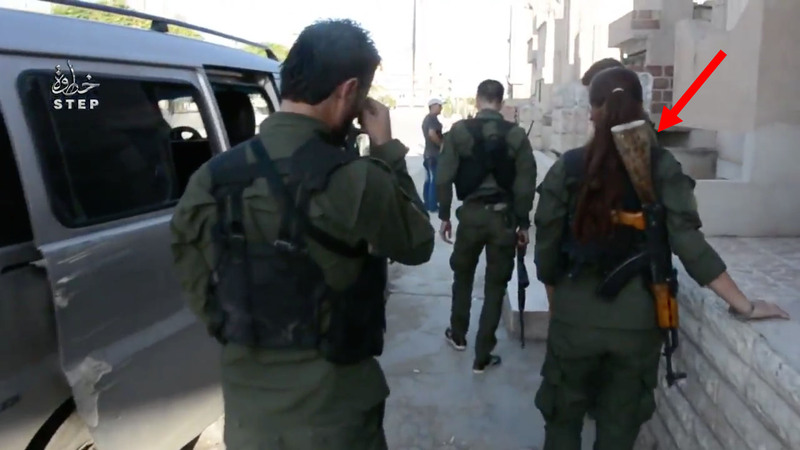 A clandestine military operation will discourage the Turks from assassinating any more Syrians. Remember what happened six days ago? Here is what the Russians and Iranians said. Frederick W. Kagan co-wrote that. The Kagans have a long history of helping screw up the Middle East. They’re always wrong. 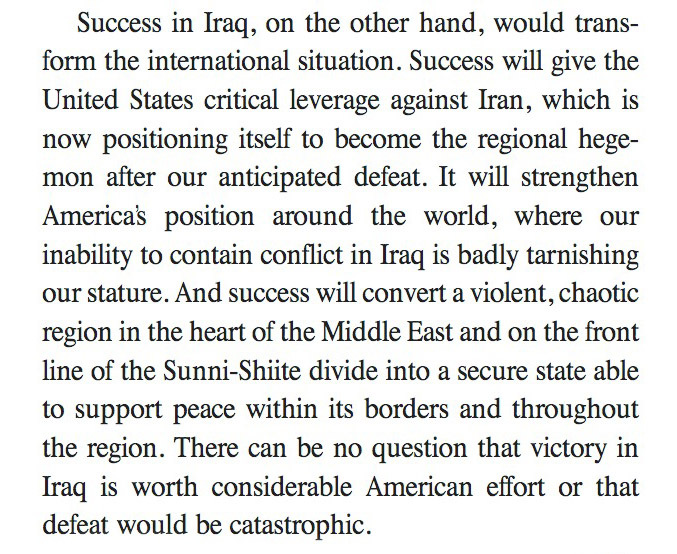 There was never any chance of the US being successful in Iraq. The Saudis warned us over and over. Due to our lack of respect for Arabs, we ignored them. 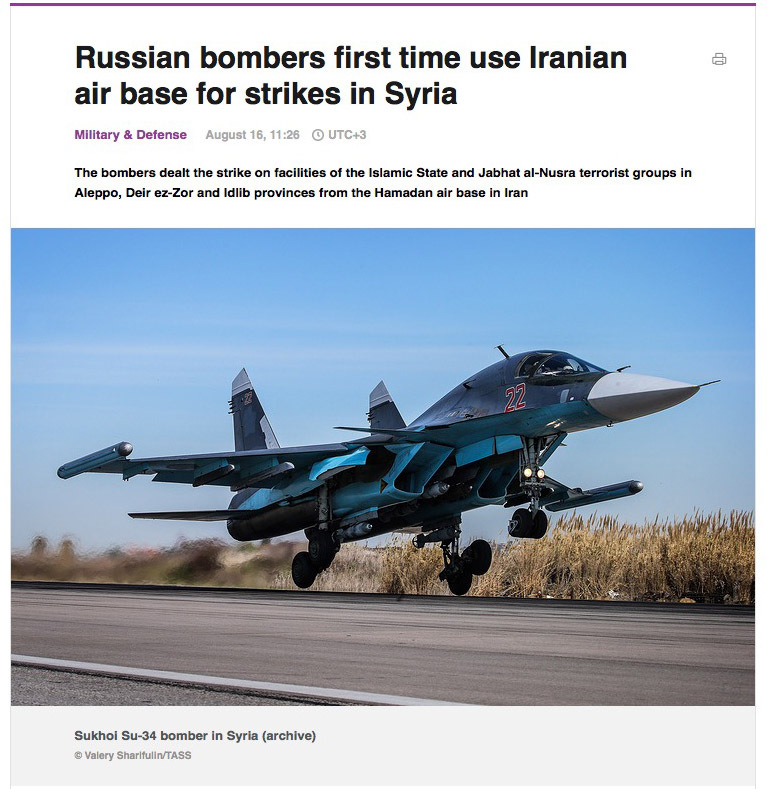 When the Russians began flying missions out of Iran, I predicted that it wouldn’t last. And I was right. They’re lying. What did they accomplish in six days? Nothing. And the Iranians gave a different reason. Like the Russians, they’re lying. In reality someone dissuaded Iran and Russia from continuing with this arrangement. 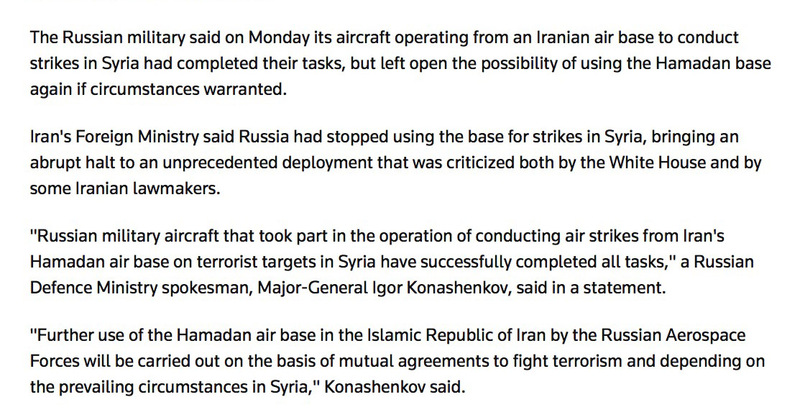 My guess is that everything at Hamadan Air Base stopped working. Or maybe a Russian aerial munition exploded all by itself. 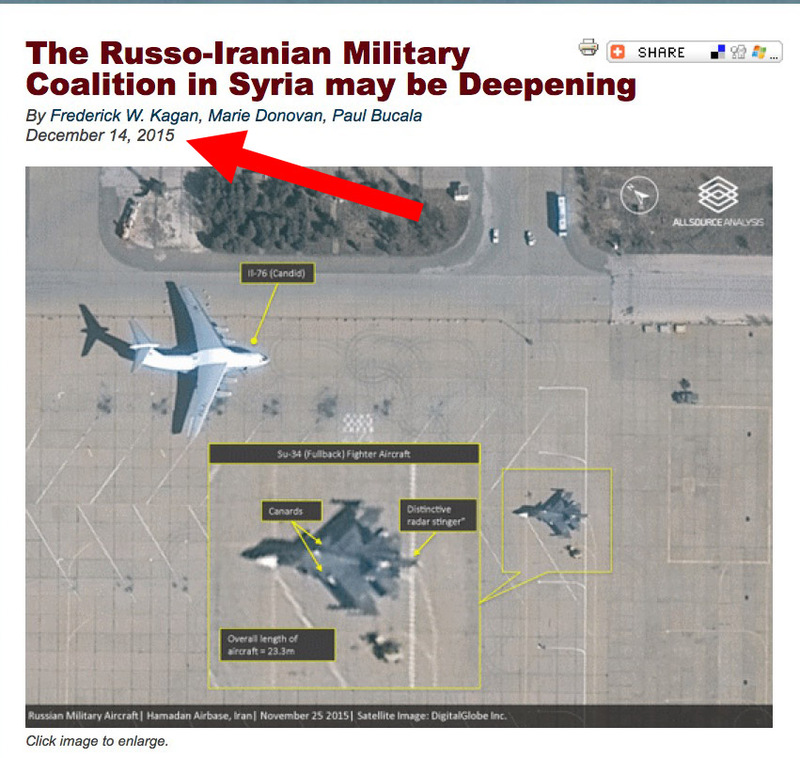 Maybe some Iranian and Russian officers exploded. The Turks can expect something similar. We won’t hear about it. 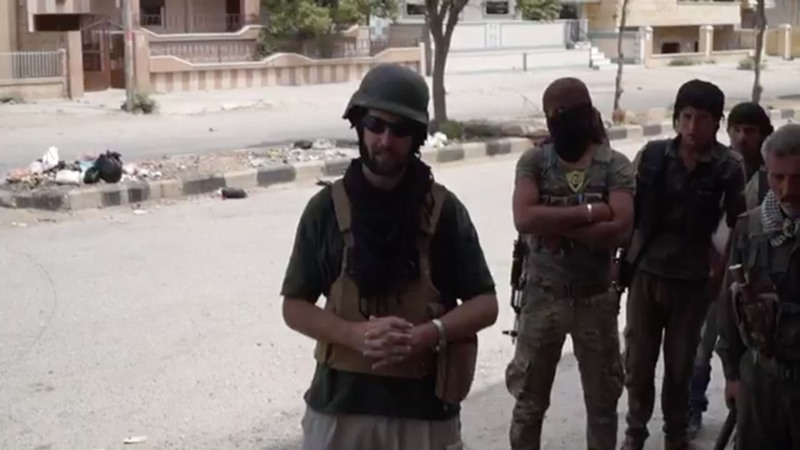 Members of the Islamic State call themselves soldiers. They aren’t. Since they can’t fight, they die when they meet trained soldiers. So the Islamic State does this instead. 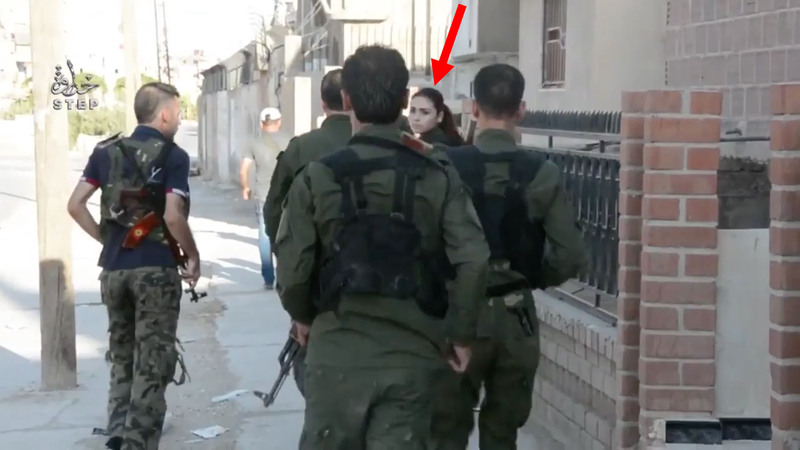 Those Kurdish cops are brave beyond comprehension. You can see from their body language that they literally have no fear. This is why Saudi Arabia and Israel support an independent Kurdistan. And it’ll happen. The Kurds are not monolithic. Each armed group is loyal to a political party. These parties are mutually antagonistic. Therefore it’s difficult for Kurds to achieve a high level of military training. 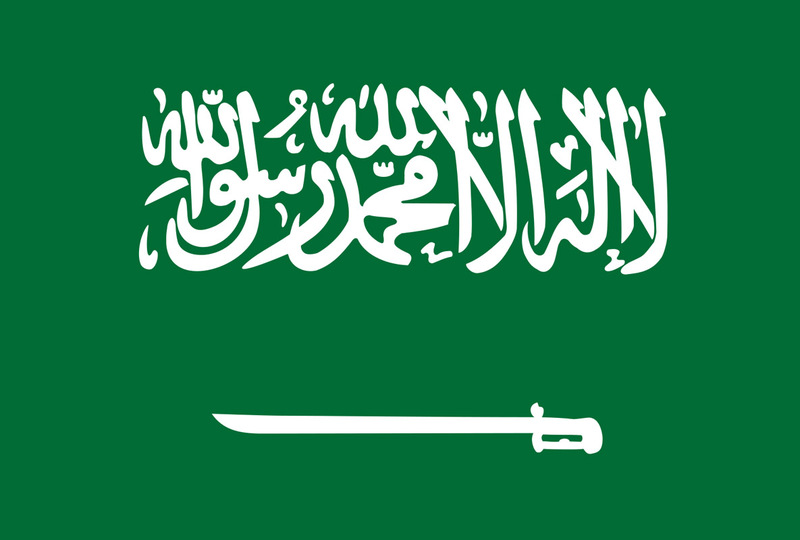 There are no centers such as the Saudi School of Airborne Units and Special Security Forces. 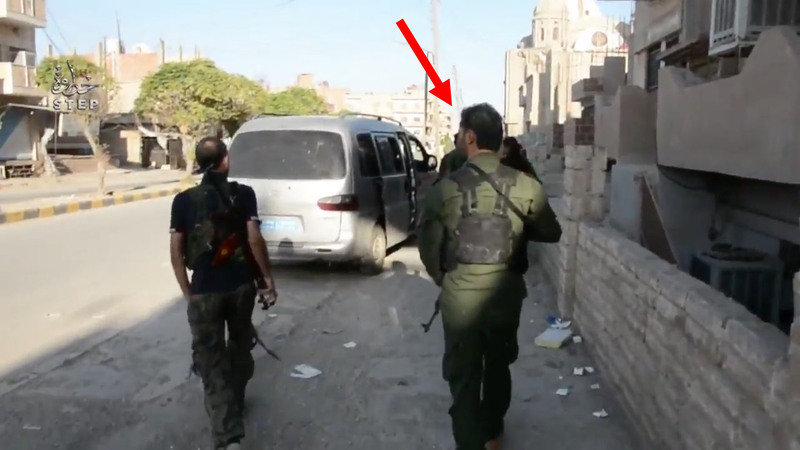 You can recognize Arab League strategic special operators fighting in Syria. First, they’re almost always extremely thin. And second, they carry their rifles in a particular way. 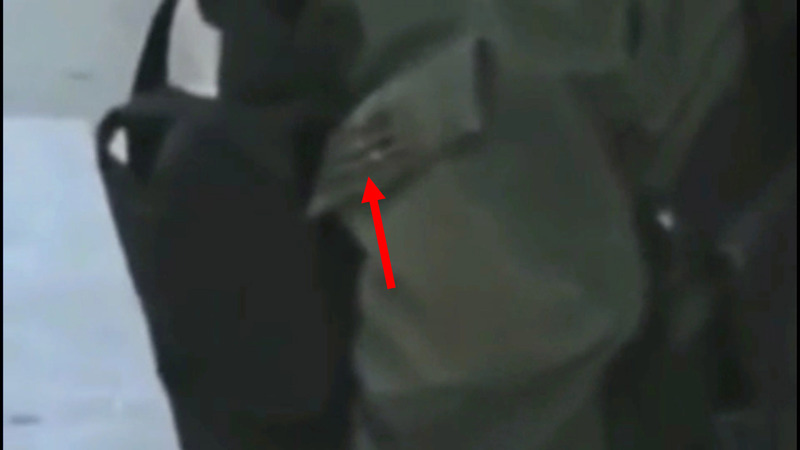 This is how Arab League strategic special operators sling their rifles. The barrel points down, and the rifle is kept tight against the body. 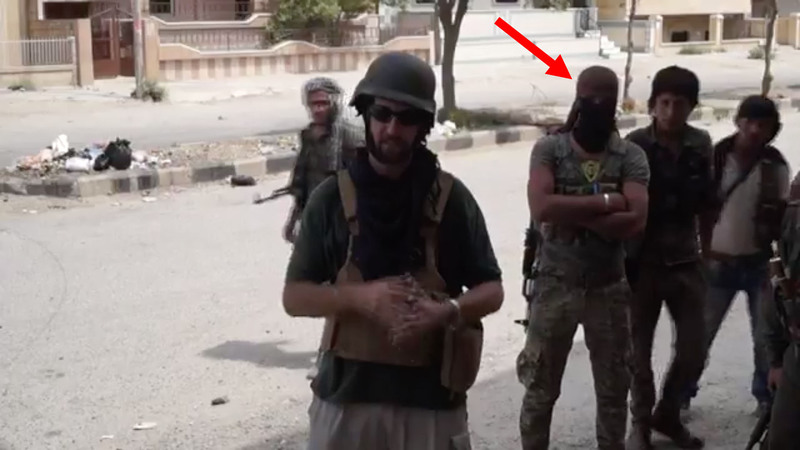 In the screen grab above, the man staring at the camera is a Saudi Special Forces soldier on personal protection detail. He’s guarding the man in the middle. 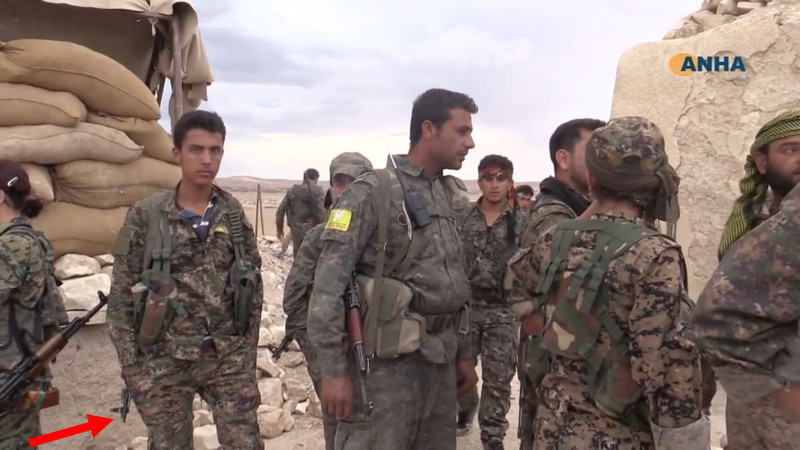 Compare the Saudi’s rifle to the Kurdish fighter’s weapon on the left. Below is the reason that the Saudis sling their rifle this way. Watch the man entering the screen on the far left. In one smooth movement, his rifle is in his hands. And if he wanted, he could fire the rifle without taking it from his shoulder. I’ll leave that to your imagination. 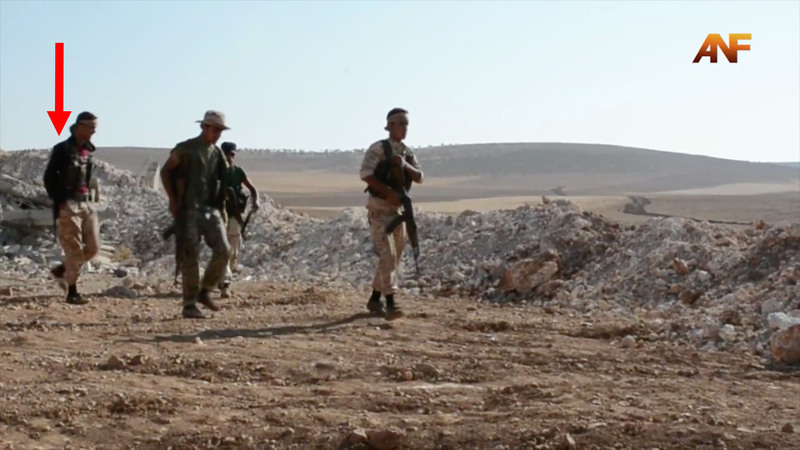 Arab League and allied commandos have trained for years. Therefore it’s not reasonable to expect that volunteer fighters be as skilled. However, the Arab League makes very intelligent use of both professionals and dedicated locals. The key to this cooperation is the professionals having empathy. The locals don’t feel inferior or incompetent. In addition, locals are the public faces of the struggles against the Islamic State, Basahr al-Assad, Iran, Russia, Hezbollah, and Turkey. Can you identify the professional below? Thin, extremely fit, olive skinned, rifle slung barrel down, and watching everything. 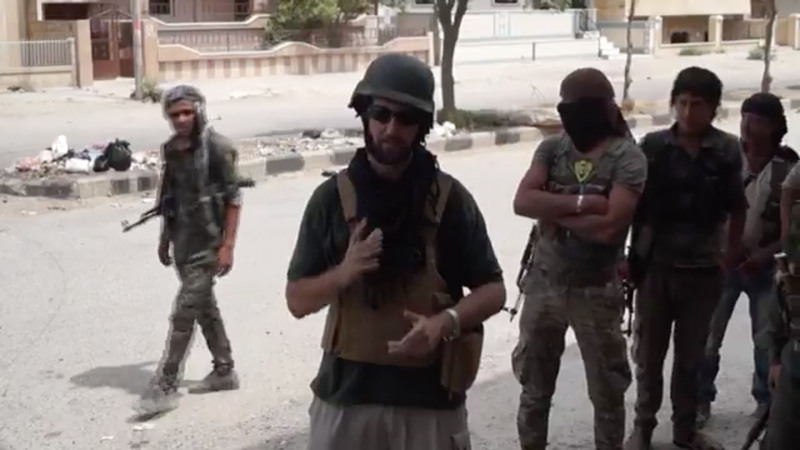 Although he wears a yellow badge with the face of Abdullah Öcalan—former leader of the Kurdistan Workers’ Party (PKK)—this man is an Arab. There’s no doubt. 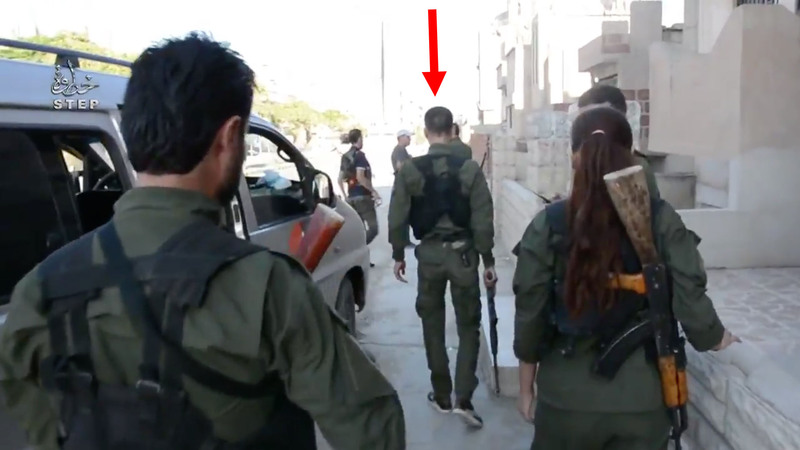 He’s a strategic special operator attached to a unit of locals in Hasakah. His rifle has a titanium barrel. It’s a modification that makes the weapon lighter and more accurate. And now what may be the most important video to come out of Syria. Most of the fighters have no real training. However, the men below are professionals. Their situational awareness and the way they carry their weapons and walk indicate a very high level of training. She’s a professional too. And she’s not a Kurd. She’s an Arab. Like all commandos, she hates being filmed. 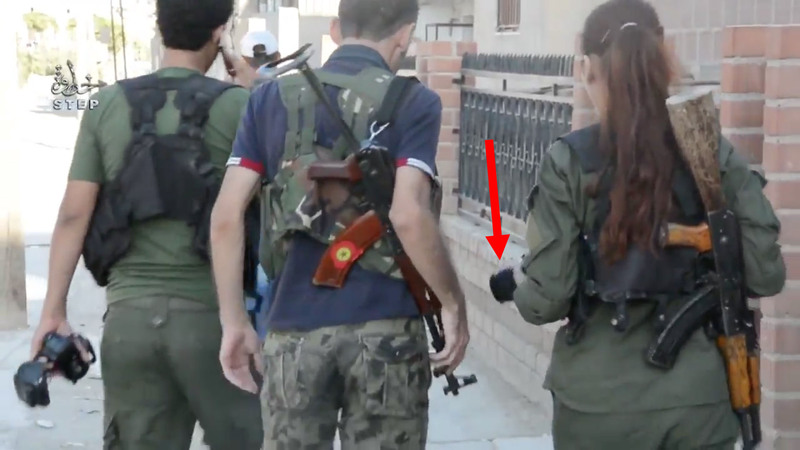 In fact she confiscated the camera of the reporter she’d detained. 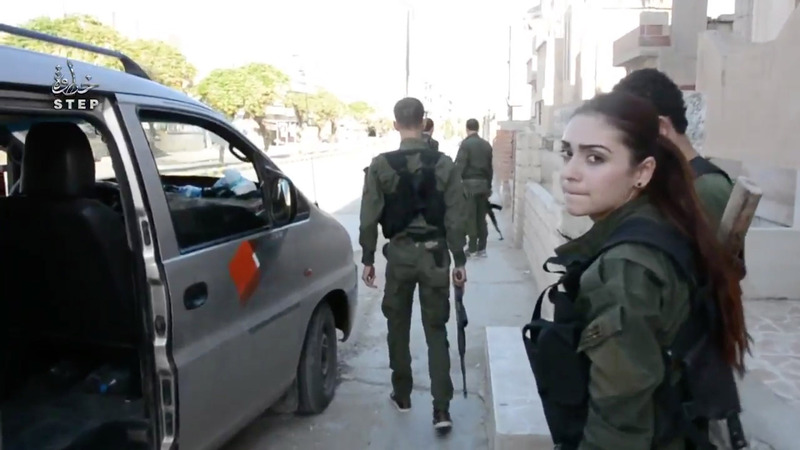 Look at her rifle compared to the Kurdish fighter’s. She could shoot you in less than a second. As they walk, the commando turns to make eye contact with her colleagues. So where’s she from, this hard-faced strategic special operator? Well, someone wanted her to tell us. She wears a small national flag. I’ve never seen that in Syria. This soldier’s insignia has a clear plastic covering. It’s a “low-visibility” or subdued version of her national flag. The colors make it blend into the uniform. Do you recognize the flag? There’s really no mistaking it for something else, is there? I told you that massive change was taking place in the Middle East, didn’t I? Because of the many risks, I thought this level of transformation would be kept hidden for years. Well, I appear to have been wrong. As I said, this commando’s message is a demonstration of change, but it’s also a trial balloon and a warning. Take a good look at that face. She’s as much a professional strategic special operator as her male colleagues. I’m betting that hundreds or maybe thousands of such commandos are all over the Middle East. They’re even more deadly than men. Why? Because they’re not expected. This article viewed 48656 times.